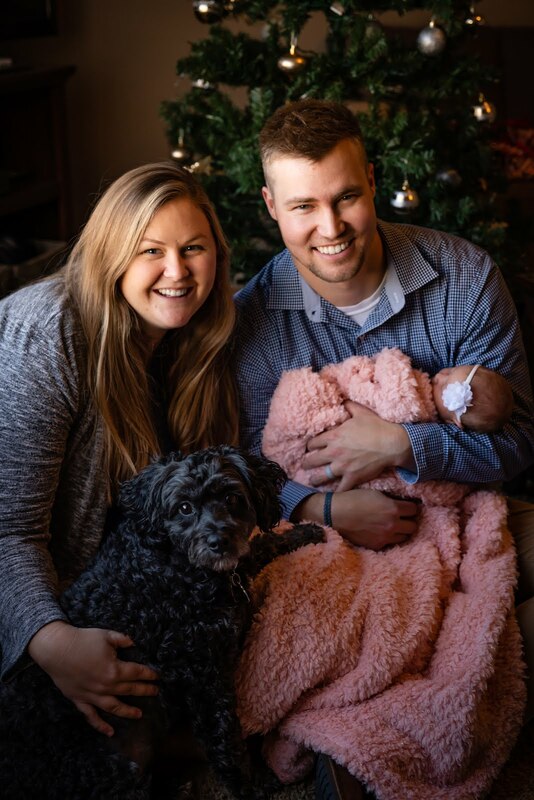 Sierra's View: Student Christmas Gifts! Please enjoy my exquisite photography skills with my iPhone. This year, I have a class full of seventeen boys. Yes, seventeen 11 and 12 year old boys. Any appreciation is more than welcome. I won't beat around the bush, it has been a challenging year. My students are so intelligent, fun, enthusiastic, but I am quite exhausted after a day of work. As my student yelled out (yes, they "word vomit" a lot) "This is why no one has twenty five children!" I laughed. Exactly. And people wonder why I don't have children yet. 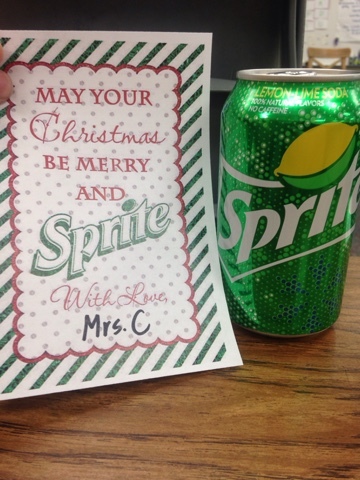 I always like to give my students a little holiday gift. 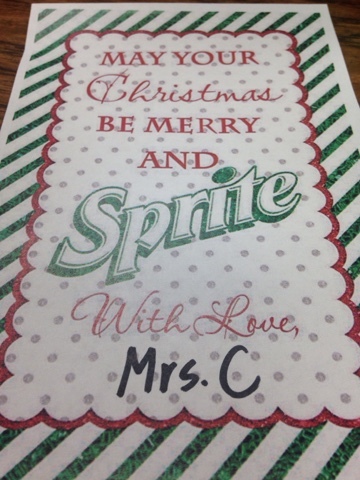 Now, I teach in area where I know that all of my students celebrate Christmas. If this wasn't the case, I would not do a hand out of just Christmas, but rather, a holiday gift. This was very simple and my students LOVED it. 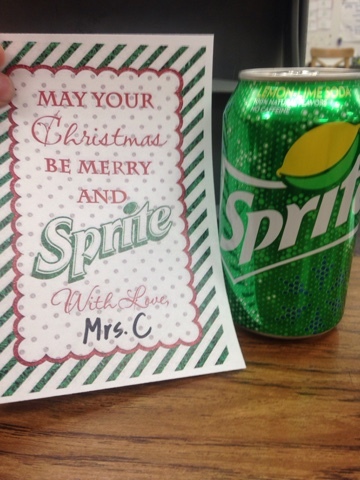 They were so excited to get a Sprite and a cute handout with it for Christmas. I made this cute little hand out on Photoshop. I am too tired (literally cannot even keep my eyes open right now. Last day before Winter Break--praise the Almighty!) to upload it here, so if you want it, shoot me an email! What are some of your favorite gifts that you have given to your students? What are some awesome gift ideas that you have seen teachers give?